Hot 97 is throwing a holiday show at Newark’s Prudential Center on December 5 that’s pretty stacked with both the old and the new: Busta Rhymes, Mary J. Blige, Puff Daddy, Lil Wayne, French Montana, Sean Paul, Jeremih and Fetty Wap. Tickets are available. 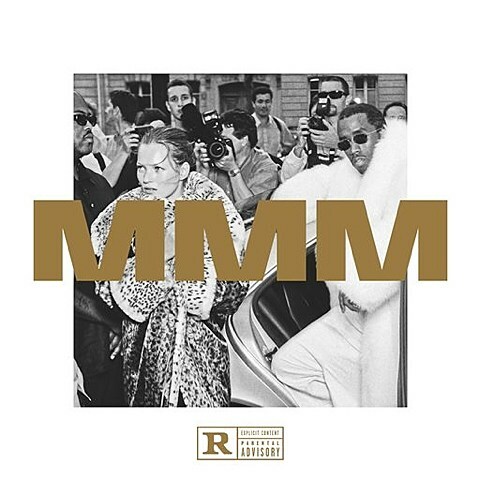 Speaking of, Puff Daddy is planning a sequel to his hits-filled 1997 debut No Way Out (called No Way Out 2), but in the meantime he just released the MMM mixtape (“Money Making Mitch”) which features Jadakiss, Styles P, Pusha T, Lil Kim, Lil Wayne, Big Sean, Travi$ Scott, Ty Dolla $ign and more; and co-production from Young Chop, Mike Will Made It, Hit-Boy, Harry Fraud and more. You can stream the whole thing below. For another stacked Newark show: the recurring ‘Masters of Ceremony’ concert, that brings a number of influential old school heads together, happens again on November 27 at NJPAC with KRS-One, The LOX, Ja Rule, Rakim, Mad Lion, Lords of the Underground and Black Moon. Tickets are available. You can catch the legendary Rakim much sooner than that though. He plays TONIGHT (11/11) at SOB’s in Manhattan in with Ceez, JSwiss and Lyricks. Tickets for tonight’s show are available. For more old school rap in NYC tonight, GZA, Afrika Bambaataa, Doug E. Fresh, Rhymefest, Ma Dukes and more are being honored at the Hip-Hop Education Center’s first annual Extra Credit Awards at NYU’s Kimmel Center from 6 to 9 PM. Coincidentally (?) the same night as the ‘Masters of Ceremony’ show, Ja Rule’s collaborator Ashanti plays a NYC show at BB King’s (11/27). Tickets are available. Another guy who was shaping the sound of mainstream hip hop around the same time as Puff Daddy, Timbaland, has a new memoir called The Emperor of Sound coming out November 17. The next day, he’ll come to NYC for an interview/book launch at Highline Ballroom (11/18) (tickets). Timbaland’s also been putting out some new songs lately. He recently dropped “Them Jeans” featuring Migos and “UFO” featuring Future and Tink. Listen to both below. 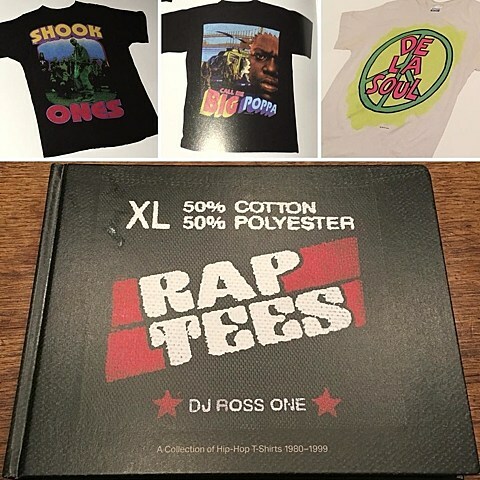 He’s also teasing a new track with Pusha T.
Beginning with the earliest rap concert shirts from the Sugar Hill Gang and New York Fresh Fest, circa 1980-84, and spanning the next two decades, Rap Tees includes rare shirts from a wide selection of the who’s-who of the business including: Public Enemy, Boogie Down Productions, Beastie Boys, Eric B and Rakim, Wu Tang Clan, Jay Z, Nas, EMPD, and many, many more. Rap Tees bookends the golden age of rap with unique street-corner memorial shirts commemorating the deaths of The Notorious B.I.G. and Tupac Shakur. There’s a sample of three of the shirts above, via MIke Nouveau’s Instagram. That Timbaland/Tink collab isn’t the only new Future song. He just put one out called “Last Breath,” produced by Metro Boomin and Ludwig Goransson, that will appear on the soundtrack to the upcoming Rocky spinoff Creed. Listen below. The busiest band in rap, The Roots, can always be found as Fallon’s house band and you can always catch Questlove’s mostly-weekly DJ night at Brooklyn Bowl, and they’ll play a Long Island show the Saturday after Christmas at The Paramount (12/26). Tickets are available. Roots member Black Thought is on the brand new Freddie GIbbs song, “Extradite.” That’s one of two songs that Gibbs put out today, the other being “Packages,” and both will appear on his Shadow of a Doubt mixtape due 11/20 via ESGN. Listen below. A few other upcoming NYC shows: Key! plays SOB’s on November 17 (tickets). Loaf Muzik, who BV had open our recent Vince Staples show, play The Studio at Webster Hall on November 14 with Young M.A (tickets). We’re not crazy about G-Eazy, but we do want to let you know that A$AP Ferg is opening his Terminal 5 show on January 24. Tickets are on AmEx presale now, general on-sale starts Friday (11/13) at noon. Oxymorrons play the Marlin Room at Webster Hall on 11/18 with Turquoise Jeep, Pants Velour and Kosha Dillz; and Knitting Factory on 12/9 (tickets). We already mentioned the Curren$y show happening December 3 at Irving Plaza, and since we last spoke Bodega Bamz was added. Tickets are still available. And a few more new songs: Ty Dolla $ign released “LA” (featuring Kendrick Lamar, Brandy & James Fauntleroy) off his new album Free TC, due out next week. Lil Durk & DeJ Loaf released “My Beyonce”; Atmosphere, Aesop Rock and Blueprint teamed up for “This Lonely Rose”; and Erykah Badu (who plays Brooklyn in December) released “Phone Down” off her upcoming But You Caint Use My Phone mixtape. Listen to all of those below. Other previously-discussed shows coming up in and around NYC: Lupe Fiasco, Azealia Banks (NYC is her only not-cancelled tour date), Jay Rock, Joey Bada$$, the A Tribe Called Quest reissue party, Action Bronson, Angel Haze, Vince Staples, Kevin Gates, and more.